Apple Senior Vice President of Worldwide Marketing, Phil Schiller, introduces the iPhone X during a launch event in Cupertino, California, U.S. September 12, 2017. At around $830 billion, Apple Inc’s stock market value on the day of its newest iPhone launch towers over its next-largest rival and has Wall Street asking: Will it be the first listed company to crack the Big T? If history is any guide, the unveiling on Tuesday of the iPhone X - the 10-year anniversary edition of Apple’s ubiquitous device - signals that the $1 trillion milestone could well be breached within the year. Apple shares on average have gained around 33 percent in the year following each of its previous iPhone launch events, dating back to the first one on Jan 9, 2007. It has gained in the following year after seven of the 10 announcements while falling in three. Of the 38 Wall Street analysts covering Apple, two already have price targets for the stock that see it driving above the $1 trillion level. Brian White of Drexel Hamilton, whose $208 price target for the shares is highest on the Street and would equate to a $1.075 trillion market value at the current number of shares outstanding, came away from Tuesday’s event convinced the stock has further to run. Her current price target of $182, which is 13 percent above Tuesday’s closing price of $160.86, would equal a market value of about $940 billion, but Huberty has a “bull case” target of $253 on the stock, or just over $1.3 trillion at current shares outstanding. Apple shares are up 52 percent in the last year. Since Apple first announced the iPhone product line in January 2007, its stock has gained more than 1,200 percent and delivered a total return, including reinvested dividends, of more than 1,375 percent. Its annualized total return of 28.7 percent in that period is nearly three times that of the Nasdaq Composite Index and almost four times what the benchmark S&P 500 has delivered. 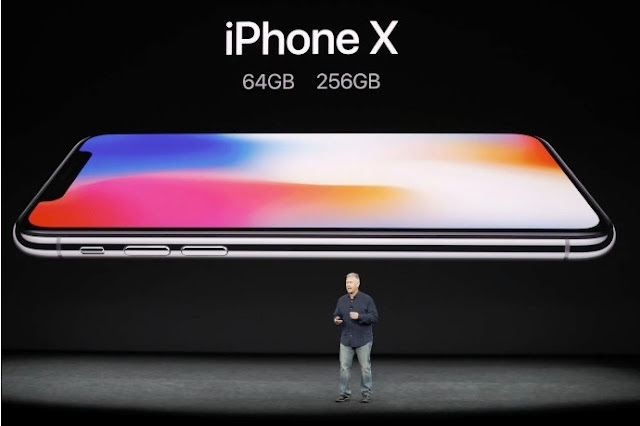 And while at nearly $1,150, the new 256 gigabit iPhone X may seem like an eye-popping price, it is no more expensive - relative to Apple’s stock price - than the first iPhone in 2007. The top-end version of the first generation iPhone, at $599, was worth a bit more than seven Apple shares at the time, around the same as today in nominal terms. Apple split its stock on a 7-to-1 basis three years ago. Adjusting for that, one share of pre-split Apple stock would be worth one nearly full iPhone X today. Muslim Global: Apple: Will a $1,000 phone deliver a $1 trillion company?